On Aprl 28th John will release his 23rd full-length album, Sad Clowns & Hillbillies featuring Carlene Carter, the daughter of June Carter Cash and Stepdaughter of Johnny Cash, on Republic Records. Mellencamp’s new single, “Grandview” features country music star Martina McBride. John released the track, "Easy Target" in January as a continuation of Mellencamp’s journey to convey the truth through this passionate and plain-spoken song. Pre-order Sad Clowns & Hillbillies https://republic.lnk.to/SadClownsHillbilliesWe and get Grandview and Easy Target today. 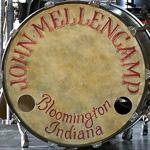 Read the complete press release including the record's track listing on Mellencamp.com. The Mellencamp.com pre-sale ended last night but you still have a chance to get a ticket to this amazing tour with the public on sales! As you know John will be joined by special guest and 13-time GRAMMY-Award-winning singer-songwriter Emmylou Harris, as well as his Plain Spoken tour mate Carlene Carter, and folk-pop sister duo Lily & Madeleine. Multi-platinum selling recording artist Jewel will also step in for the tour’s two Oregon dates, substituting for Emmylou Harris as the special guest opener. Tickets are currently on sale for several shows with additional dates to be announced for IL, IA and CT in March. Public ticket on sales start TODAY Friday, February 24th at 10:00 AM local venue time (New Hampshire goes on sale at 11:00 AM). Every online ticket purchased comes with one (1) physical CD of John Mellencamp's forthcoming album, Sad Clowns & Hillbillies. John has added another summer tour date to his schedule at the Iowa State Fair in Des Moines, IA on Saturday, August 19th. Ticket pre-sales and public on-sales are TBA. 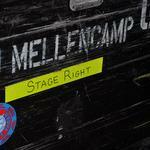 Watch Mellencamp.com's TOUR page for updates. The song Grandview is great. Is this the old Bobby Clark Song he purchased? Sounds like it was recorded back in the eighties around the lonesome jubilee era. I have not heard him sound like that when he sings for many years now. Yeah I agree, the vocals are great as is the band and the all around sound. It sounds fresh! I see there is a Target exclusive edition of Sad Clowns & Hillbillies with two extra songs! Wow!! I stopped expecting singles like this from John. Nothing against any of his recent work, but it has been on the somber side. He sounds like he having fun for the first time in a while- best single in 20 years or so. I do find it weird that he used Mcbride for the female vocal on this, when he his featuring Carlene Carter on the album. Also, Amazon.com is selling an exclusive autographed cd version of "Sad Clowns & Hillbillies"
Where did you find that about the Amazon version? Just ordered the autographed version! Can't wait to get it on April 28th!